Share Our Strength is an American organization established in 1984 by Bill and Debbie Shore to tackle the growing problem of hunger and poverty globally and locally. The work of the organization involves a wonderful collaboration with restaurants, chefs, other food professionals and volunteers who commit their time and effort to end hunger. 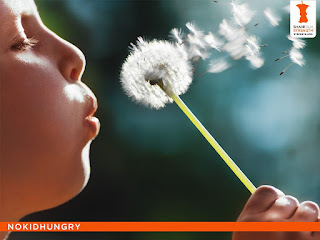 Their ultimate goal is to end childhood hunger by 2015 starting right here in America. Fundraisers held throughout the year as well as donations, help to support hunger organizations worldwide and in the US. But eradicating worldwide hunger is a big task, and the need for monetary support as well as personnel and volunteer support is ongoing. After over two decades of existence, this is an organization which definitely has proven itself instrumental in making a serious impact in hunger prevention and intervention. So far it has raised over $245 million towards the cause, and the work is not over. Much more is needed to ensure that their vision to end childhood hunger is met. Everyone needs to get on board to make this happen. Perhaps you could be a part of ending childhood hunger.